With a new menu in place there is plenty of choice with so many tasty dishes to choose from. Will you build your own burger, maybe you want to go straight for one of the Si! Favourites or take a closer look at the delicious Specialities? Don't forget the Street Pizza or something great From the Grill. The choice is yours! 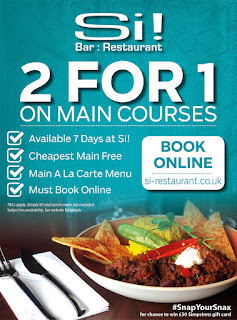 Simply book online and select the 2 for 1 promotion and enjoy 2 for 1 on main courses with the cheapest main course free. 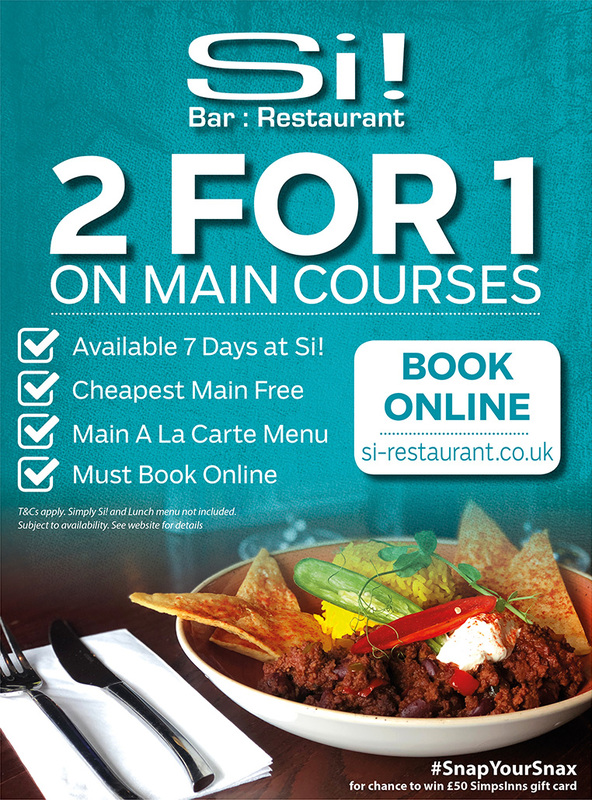 Please note applies to main a la carte menu only, Simply Si! menu not included. T&Cs apply. Promotion is available seven days a week, subject to availability and must be booked online.